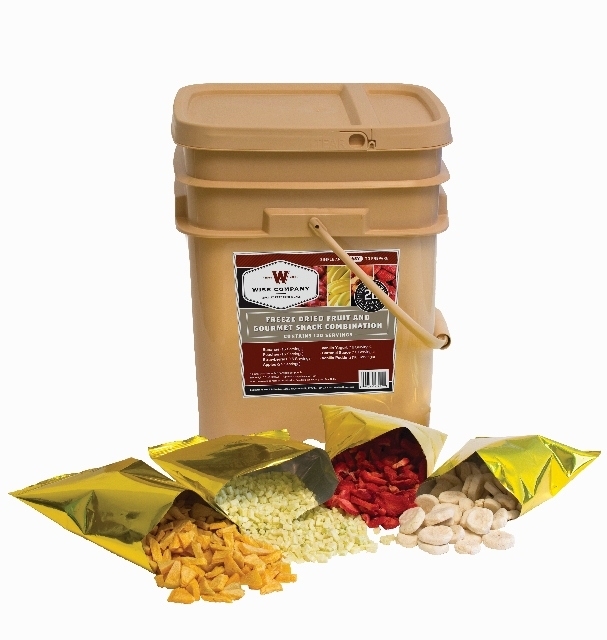 The Wise Food Company 120 Serving Fruit Combo freeze dried food is an ideal way of supplementing your emergency preparedness food supply. Wise Company freeze dried meals are sealed in airtight, 4-serving, nitrogen-packed mylar pouches and stored in a reusable square plastic container. The Wise Freeze Dried food Stocking Up Fruit Supply has up to a 20 year shelf life with NO rotation needed. The unique 4-serving packaging size means you can continue to rotate through your inventory and not suffer from "menu fatigue" or worry about food spoilage. Freeze Dried Fruit Supply buckets use actual freeze dried fruit and are perfect for mixing with long term yogurt, pudding, or caramel. This is an ideal way to supplement your diet in an emergency with great tasting and nutritious fruit, boosting morale as well as the body. A great treat for children. Single Mayday Food Bar 2400 Cal.